The first is an interim final rule regarding drone identification markings that becomes effective Feb. 25 and creates both a web-based aircraft registration process specifically for drones while requiring that registration number to be marked on the exterior of the aircraft. The other two are notices of proposed rulemaking, with one focused on rules for drone overflights of people while the other – officially an advanced notice of proposed rulemaking or ANPRM – seeking industry input on how to reduce risks to public safety and national security as drones are integrated into the national airspace system. “The FAA recognizes that the possibilities for innovation in unmanned aircraft technology are virtually boundless and that the industry can move in directions no one can predict,” the agency said regarding its drones-over-people proposed rule. That’s also why the agency stressed it is trying to keep its rules “technologically neutral,” with the understanding that technology and applications will evolve in the time between the publication of this proposal and the final rule, and beyond. “Today, there are even more applications and opportunities for small UAS that either did not exist or were only in their nascent stages,” the FAA noted about its ANPRM, which is focused on broader drone safety and security issues. 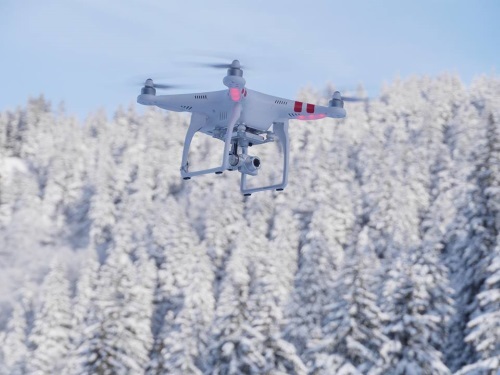 “The FAA’s challenge in developing this proposal, therefore, is to balance the need to mitigate the risk small unmanned aircraft pose to other aircraft and to people and property on the ground without inhibiting innovation,” it noted.